A doctor begins to fear his neighbours may be serial killers. Bluebeard is the second feature from female South Korean writer-director Soo-youn Lee, after her acclaimed debut The Uninvited, back in 2003. This psychological thriller is packed with enough plot-lines, twists, jumps and dream-sequences to keep any film-goer guessing; perhaps even a bit too much. The story concerns Dr. Byun Seung-hoon (Cho Jin-Woong, The Hunt, 2016, The Handmaiden, 2016, Assassination, 2015), who had secured a loan from a shady source and opened a clinic in Gangnam, Seoul, one of the richest suburbs of the city, only to have his ambitious business venture fail. Having lost his cushy practice in Gangnam, he must then take a job as a contract doctor performing colonoscopies in a small clinic in the rough, working-class district of Hwajung City, an area made famous due to a series of gruesome serial killings years ago. The murderer was never caught. Having lost his comfortable, well-to-do lifestyle, he has descended into depression and split from his wife and son. He now lives in a dreary, cramped loft above a butcher shop. He is meek and withdrawn and increasingly uncomfortable spending time around people. While Byun Seung-hoon is performing a colonoscopy on an elderly patient under sedation, the (possibly senile) old gent begins to mumble about a headless female corpse in the Han River, muttering about "arms and legs under the Hannam Bridge and the body under the Dongho Bridge," and even more disturbingly, something about a severed head in a fridge. These gruesome words remind Dr. Byun Seung-hoon about a recent news item concerning a woman’s torso and body parts discovered in the river after the Spring thaw. The problem is that the creepy elderly man happens to be the father of Seung-hoon's landlord, the butcher in the shop downstairs. Dr. Byun begins to suspect that the old man and his adult son might be killers, so he determines to find proof to back up his theory, starting with the acquisition of the severed human head that he suspects must be hidden in the meat-locker of the butcher shop. His fear that the two killers may be onto his plan results in hideous nightmares featuring bloody and murderous deeds. Seung-hoon’s lack of sleep only exacerbates his alienation and tenuous state of mental wellbeing. After visiting him in his flat his ex-wife goes missing, and Seung-hoon is drawn into a murder mystery that has him questioning his own sense of reality. Cho Jin-Woong, while a prolific actor, has usually played supporting roles. Here the gets the leading part as a character on the edge of sanity – a mild-mannered doctor who, drawn into a horrific ordeal, is in danger of becoming a physical and emotional wreck. He is supported by an excellent cast, including Kim Dae-Myung (Inside Men, 2015, Misaeng, 2014) as the creepy butcher’s son and Song Young-chang (Thirst, 2009, The Man from Nowhere, 2010, The Good the Bad the Weird, 2008) as a retired detective on the trail of the killers. Director Soo-youn Lee has learned a few tricks from the ‘Alfred Hitchcock school of suspense’, but tries perhaps a little too hard to infuse every sequence with mysterious portent and possibilities. 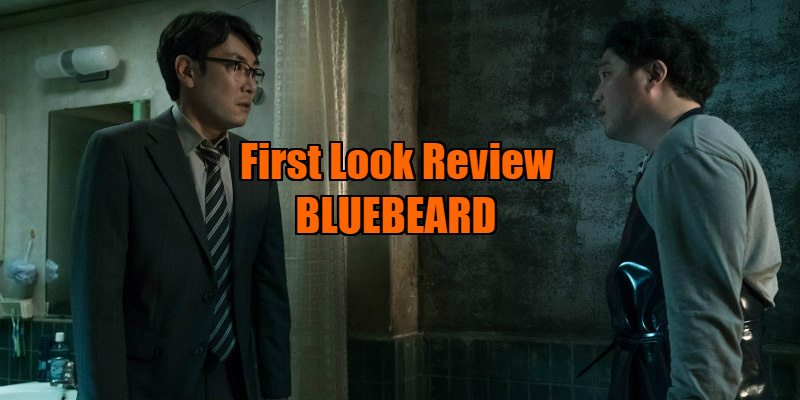 For the first hour of Bluebeard, it’s not always easy to tell whether we are witnessing reality or one of Seung-hoon’s nightmares, and we begin to get sceptical whenever anything unusual happens. The movie tries to be both a ‘serial killer’ psychological thriller and an exploration of a fractured psyche. In doing so, Bluebeard tends to lean heavily on the device of the ‘unreliable narrator’ and the ensuing misdirection. It’s an approach that needs to be handled carefully to avoid confusion and in Bluebeard it doesn’t always pay off. In the end, everything kind of makes sense and ties together, but the movie has been accumulating so many themes and plot threads that this results in a long denouement which involves a huge amount of exposition, where characters and police investigators give their version of the story, and we see alternative events play out. We have seen so much that appears to be imaginary and reflects Seung-hoon’s fractured psyche, that we are barely able to decide what might be real and what is hallucination. If that isn’t enough, the last minutes give us yet another version, which implies what might really have happened, but by that stage we might really have lost the will to find out. 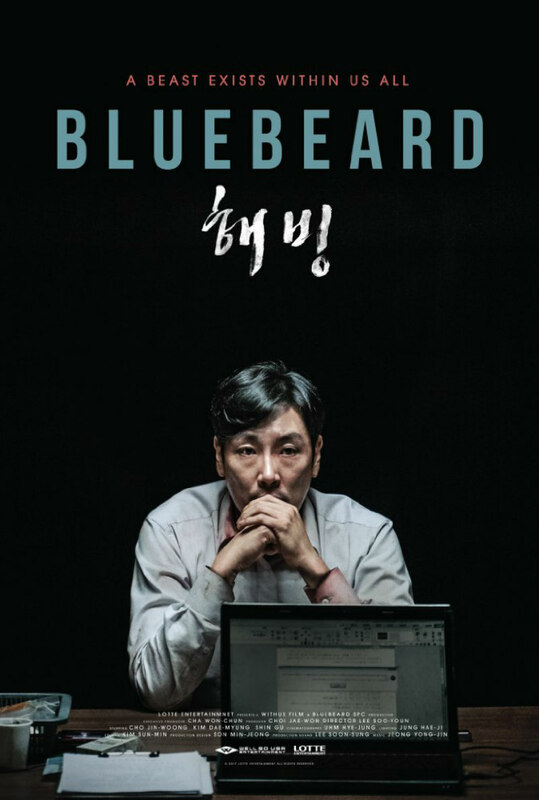 The London Korean Film Festival 2017 presents the UK Premiere of Bluebeard at Regent Street Cinema, Monday 10 July.